There is nothing more rewarding than achieving your weight loss goal. 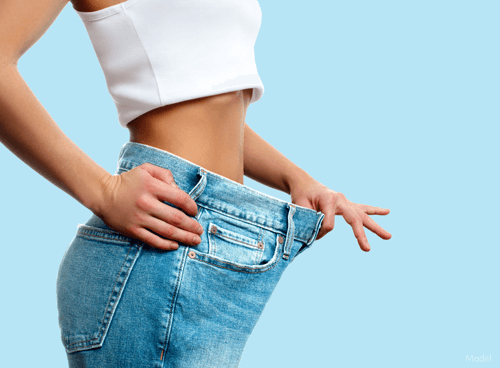 Whether you have undergone weight loss (bariatric) surgery or trimmed off those extra pounds through methods like diet and exercise, it can leave you feeling healthy and confident. However, losing a significant amount of weight can also result in excess skin and fat that diet and exercise may not be able to address. At Piedmont Plastic Surgery, our post-bariatric surgery procedures can shape and tone your body for a smoother, more contoured figure. Body contouring procedures after weight loss can provide you with high-quality results and help you achieve the body of your dreams. During your consultation, Dr. Willard will examine your figure to determine the amount of correction needed and which surgical procedures will best suit your needs. Although post-bariatric surgery procedures are performed on an outpatient basis, you can request an overnight stay at the Comfort Cottage with a nurse available to help you. Your recovery will depend on the combination of procedures performed. Following your surgery, you will be asked to wear a compression garment around the treated area(s). Swelling and bruising may occur but should resolve after a few weeks. Avoid strenuous activities for at least six weeks to allow your body to heal properly. You should be able to return to work two weeks after surgery. It is important that you consult with Dr. Willard regarding the procedures you are undergoing to determine the length of your recovery. Body contouring patients can expect permanent results that will enhance their appearance and boost their self-confidence. While results are long lasting, patients should maintain a well-balanced diet and healthy lifestyle, as results can be reversed with additional weight gain.